A-Girl can’t read—not much anyway. Oh, she can recognize a few words here and there on a page of text, but reading a sentence like the one I am writing is beyond her capabilities. A-Girl has stumbles over phonemes. She often confuses /d/ and /b/. Her tongue often trips on consonant blends, so /th/ becomes /h/. In other words, she pronounces that as hat. For all her reading difficulties, A-Girl is a good-natured kid. The most trouble I’ve had with her in the past two years is refusing to spit out her gum when I told her to do so—and that happened only a couple of days ago! Monday, I discovered another of A-Girl’s strengths. She had selected the book from the library and was stumbling over too many words, so I took over reading. We came upon a drawing of a magnificent fox in full color. 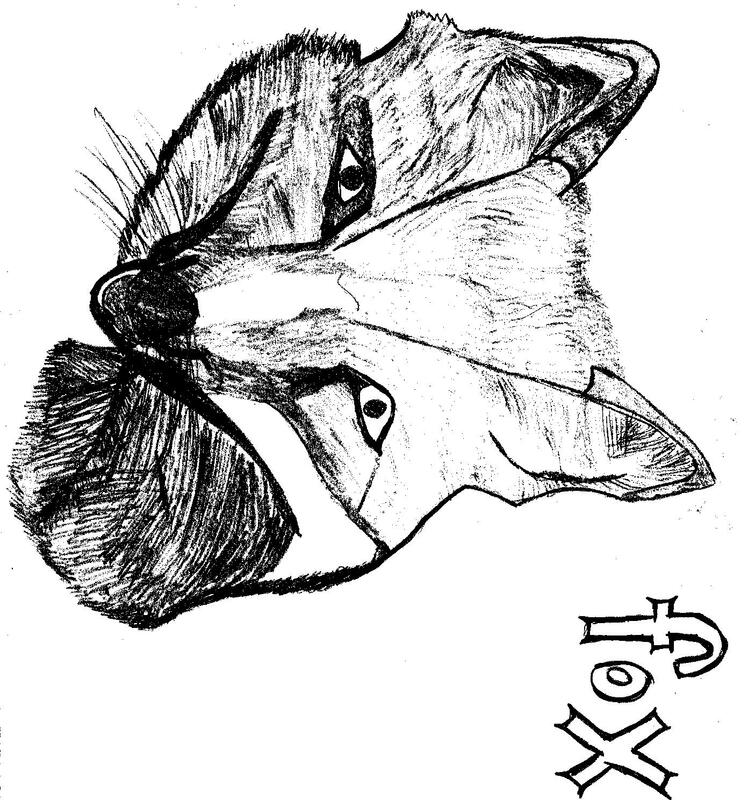 “I could draw a fox like that,” A-Girl said. “Then why don’t you take the book home and draw a fox tonight?” I said. “You can keep it,” she said. A-Girl may not be able to read very well, but am delighted to discover that she has other strengths. Obviously, she can draw. She also has a high degree of self-confidence in her artistic ability. She also has a generous spirit. How many more strengths does A-Girl have? I don’t know, but I’m eager to find out. The Chinese have their Year of the Rat, Year of the Horse, and Year of the Dragon. I’m going to make this my Year of Discovering Strengths, not only in A-Girl, but in all my students. Teachers at our school have been mandated to use the Read Naturally program to help struggling readers, and the software has been installed on most classroom computers. The only trouble is, no training has been offered. In desperation today, I went to the principal and asked that every teacher be trained how to use Read Naturally. True to her word, the principal came to my reading intervention class and showed me how to use the program with two of my reluctant readers. After 30 minutes of observation and hands-on learning, I had a pretty good grasp of how to manage the software and how to help students gain the most benefit from it. The principal set an arbitrary goal for L-Boy to read 85 words per minute. He far exceeded that goal, reading 112 words per minute. Plus, he answered every comprehension question correctly. When the principal asked L-Boy if he wanted to choose another story to read, he declined. L-Boy and I, along with two others from the class, walked to the picnic tables under the cottonwood trees. Amazing. Absolutely amazing. L-Boy, who hates to read, having gleaned some new knowledge from a simple story about trees, eagerly shared it with me. Between the computer and the cottonwood trees, I think I see a glimmer—no, a dazzling ray—of hope for L-Boy’s reading future. Reluctant readers. Reticent readers. Struggling readers. Non-readers. The I-hate-to-read kids. My last class of the day, reading intervention, is my smallest. I have six students, all of whom have varying degrees of antipathy toward the written word. J-Boy, in particular, despises books. Every time I ask him to read for me, he says no. J-Boy’s negativity casts a pall over the class, like yesterday’s gloomy weather, with rain falling from morning to night. Today, however, was bright and sunny with scarcely a cloud in the sky. During reading intervention, I looked wistfully out the window at the little courtyard behind the building and thought: I’d like to be there instead of here. Maybe I could take J-Boy outside to read. “I need you to read for me, please,” I said to J-Boy, shaking myself out of my reverie. J-Boy’s attitude changed immediately. His look of disgust changed to delight as he grabbed his book and almost ran to the door. So the three of us went outside to the courtyard and sat at a picnic table in the shade of some cottonwood trees. The boys took turns reading aloud to me from an Accelerated Reader book about snakes. All three of us can hardly wait to read under the cottonwood trees again. Final decisions were made this morning about which sixth-graders to promote and which to retain. There were only two retentions. One of them, unfortunately, was J-Boy. His poor attendance and his almost perfect record of failing grades for the entire year made it impossible to consider promotion, so we’ll be seeing him in sixth grade again in the fall. C-Boy pestered me all week about whether or not he was going to be retained. He has an IEP and because I’m the head of our school’s special ed team, the decision to retain or promote was in my hands. His comment made me decide against retention, although I said nothing at that moment. We have a high enough dropout rate in this district without giving kids excuses to leave school. C-Boy was clearly worried, however, because today for the first time during the whole summer school session, he got serious about reading. We expected every student to read and test on enough Accelerated Reader books to accumulate at least nine points—and preferably 12— by the end of summer school. By this morning, C-Boy had reached only 33 percent of his nine-point goal. Even though Co-Teacher and I were showing a movie related to the Holocaust and Number the Stars, C-Boy chose to read. All day long he read one book after another. (They were, obviously, short books.) As soon as he finished reading, he’d take the AR test. His lowest score was 80 percent. By day’s end, he had narrowed the gap between his achievement and his goal from 33 percent to 76 percent. Unwittingly, C-Boy had proved that he could do what was expected of him in the classroom, instead of just sitting there looking bored or dozing off. C-Boy had too many deficiencies in his record to actually promote him to seventh grade, but the team agreed to place him in seventh grade—provided that he participate in mandatory after-school tutoring for the entire year. C-Boy got the news about 30 minutes before the dismissal bell. While he was not happy with the tutoring proviso, he was nevertheless relieved that he doesn’t have to repeat sixth grade. And I’m relieved that we have probably prevented at least one kid from dropping out. A public library about four hours from where I teach sells used books—cheap. Every time I have occasion to drive through this charming little mountain town, I try to arrange my schedule so that I have at least 30 minutes to browse for bargains. Sometimes I find only one or two books worth purchasing, but I never come away empty-handed. Sometimes I stagger out the door, marveling at my good fortune. Once, I filled a bag to overflowing with two dozen hardback books for less than five dollars. One of them was Harry Golden’s Only in America. I grew up with Harry Golden, although I never met him. My parents had copies of Only in America and For 2 Cents Plain on their bookshelf. So when I spotted Only in America at the used-book sale, I grabbed it—for nostalgia’s sake. I like Harry Golden. He tells it like it is. Or was. Many of his homespun observations are dated, just like his books. The bigotry and racial prejudice he excoriates, for example, are no longer the seemingly insolvable problems they were in the mid-1950s. The whiners would never survive Donalyn Miller’s language arts class. Ms. Miller requires each of her students to read 30 minutes per day in school—and 30 minutes each evening at home! There are no short cuts! In economics you start with the land. In education you start with the books. Nothing else can do it for you—not even TV, movies, Hopalong Cassidy, ninety million comic books a year, slopping around with paintbrushes, or letting [students] do what they want. Letting them do what they want belongs in the insane asylum. Half of them can’t even tell you the name of the governor of their State, let alone, letting them do what they want! If I let my students do what they want, most of them would never pick up a book, let alone read it. That’s why I insist that my students carry a library book with them at all times, and why I start each language arts class with 10 minutes of SSR. For many of my students, these precious few minutes are the only time they will ever read. Reading is a powerful tool for making sense of the world. Reading, writes Donalyn Miller “is important, and the students who read the most possess the highest academic potential.” Reading, to speak metaphorically, is the pathway out of darkness into light. I teach in a high-poverty area of the United States. Some houses do not have electricity and some do not have running water. It is not unusual to see outhouses slumped behind family dwellings. At least one of the teachers at our school grew up with no indoor plumbing. When nature called, “Geraldine” had to trot down the trail to the outhouse. Her family had little money, so instead of toilet paper, they used magazines. Geraldine, however, didn’t feel deprived, because all of her neighbors also participated in the magazine routine. Besides, there was always a steady supply of reading material. Kids grow into readers in all kinds of ways. Some grow by reading cereal boxes at breakfast. Some grow by checking armfuls of books out of the public library. And some grow by lingering over stacks of old magazines in the outhouse.